Something Better + Who We Are EP! 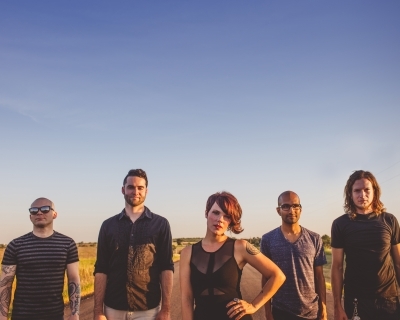 As Flyleaf gear up for the kickoff of their summer co-headlining tour with P.O.D., the band has something special to share with their fans. On July 9, Flyleaf will unleash ‘Who We Are,’ a new EP of live songs recorded during the band’s recent tour with their new singer Kristen May. The five song release mixes the best of old-school Flyleaf like ‘Sorrow’ from their 2005 self-titled release with new songs like ‘Broken Wings’ from 2012?s ‘New Horizons.’ The EP also features a studio version of the new song ‘Something Better’ with very special guest Sonny Sandoval of P.O.D. lending a hand. Loving the new sound, and looking forward to the EP too. Something Better is a good song, but lost a bit of Rock n Roll Heavy. Hopefully you do not change to a version Paramore. Because we like you because of heavy sound and touching lyrics you write. And you are a religious rock band ever forget that, please! We need bands like you who bring God’s love to people Indepentes your style.